Discussion in 'Completed Pin Sales' started by speedwaystar1, Jun 30, 2018. Pins requested will need to be paid for BEFORE they are purchased , as usual Shelterkat will be handling the invoices . This is the first month I'll be implementing the series requests , please be sure to pay for these promptly or you will be removed from the full series list . Prices quoted are an estimation of cost plus tax & PayPal fees . This does not include postage which will be calculated based on where you are . Postage rates have changed as of January 21st which means Shelterkat can no longer post single pins internationally at the same rate due to USPS changes . It's now going to cost at least $9.50 for a single pin so I'd advise anyone international to request the pins be held until you have a few to make postage worthwhile (payment for the actual pins will still be required before pickup , postage with the final payment) . US postage is currently unaffected . Due to the increasing decline of quality control by Disney , perfect pins and/or cards cannot be guaranteed . Please not we will NOT be accepting requests for the Star Wars helmet pin , quality control has been a serious issue with those . Could you put me down for the Lattes with Character: Maleficent and the 63 anniversary Disneyland pin? Thank you so much! could you pick up the following? On the monthly list for the Latte and Donut. Please also add me for the Piece of Disney History Disneyland Castle 60th Anniversary pin. May I be added to the list for the Aladdin OUAT pin? 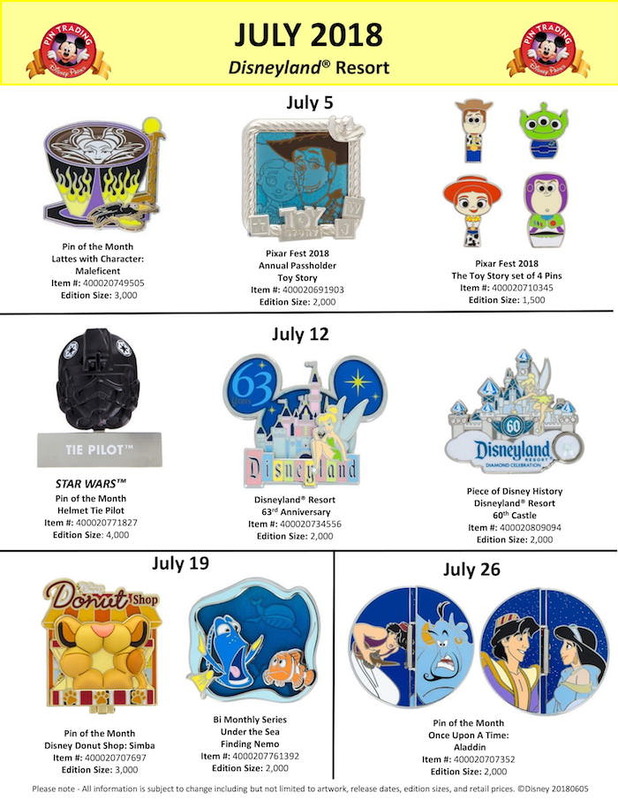 Besides the usual Under the Sea pin and OUAT pin, can I also get 63rd anniversary pin and PoDH 60th anniversary castle pin? Thanks again. PoDH 60th for me please. Please put me down for a PODH 6oth pin and a OUAT Aladdin pin. Thank you! Could I please be put down for a pin of the month donut shop: Simba. Thank you so much! 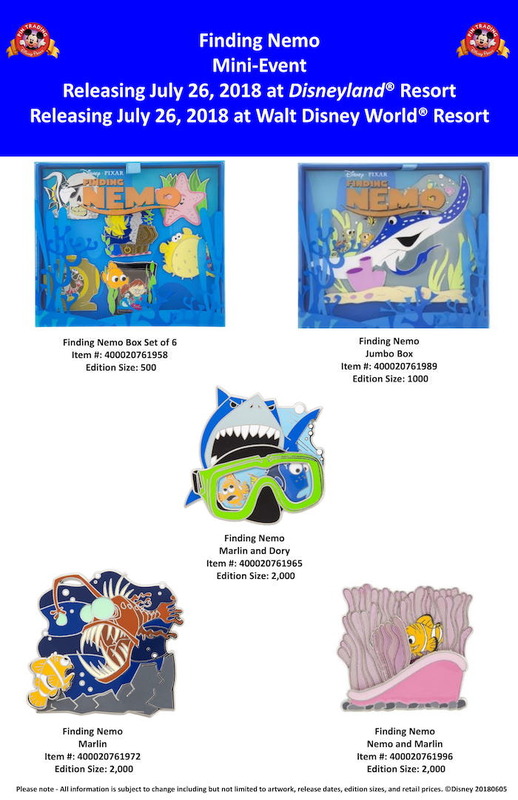 Can you put me down for the Toy Story 4-Pin set and the Once upon a time Aladdin Pin? Are there backpack mystery pins? Hello. Please put me down for the Maleficent latte and Aladdin OUAT. Thank you. Can you put me down for the OUAT Aladdin pin please? Thanks! Can you put me down for OUAT Aladdin please? Bi monthly under the sea Nemo, and Once Upon a Time Aladdin, Thank you! 2 PODH 60th castles please and 1 63rd anniversary. Thanks!